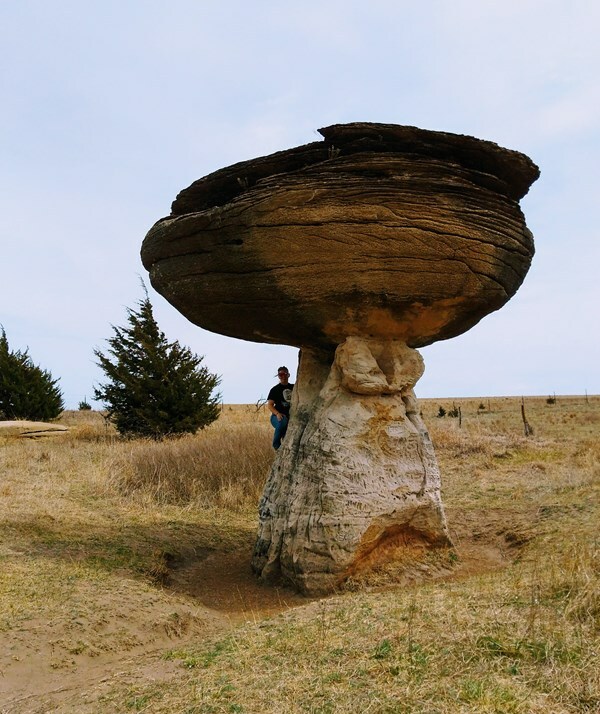 Mushroom Rock State Park, located in the Smoky Hills region of Kansas, is noted for its mushroom rock formations. These rocks were formed through a process of nonuniform erosion and weathering in which a hard mass of Dakota Sandstone resisted erosion while the underlying softer stone weathered away, forming a "mushroom" shape. There are two mushrooms and a giant shoe rock, as well as numerous other rock formations in the park. This description uses material from the Wikipedia article on Mushroom Rock State Park and is licensed under the Creative Commons Attribution-ShareAlike License (view authors).